that is name of a new magazine I bought back in October. The needles that I ordered with it were on back order. I contacted the company (Country Bumpkin) and asked about the back order and that I was really looking forward to getting their magazine. So they went ahead and shipped it and will send my needles when they get them in. This is an Australian magazine, and I am truly inspired by the creations they show. Lot’s of patterns in the book. This particular issue has a number of intermediate projects. 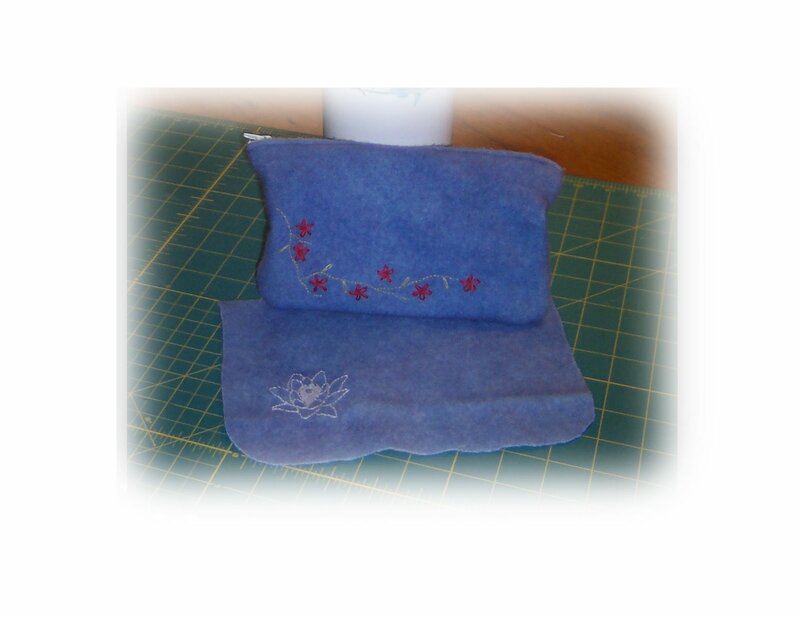 I created this little purse from a Simplicity’s pattern for felt. The purse is made with real wool that I found @ the little quilt shop in town. 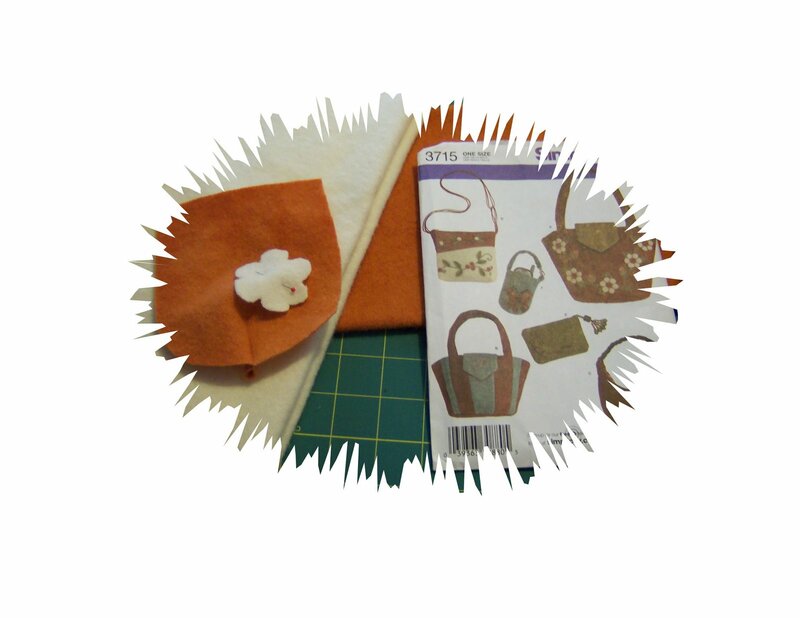 I started another purse with a lily on it. My pastor mentioned Matthew 6:38 & 39 ” And why take ye thought for raiment? Consider the lilies of the field, how they grow; they toil not, neither do they spin: And yet I say unto you, That even Solomon in all his glory was not arrayed like one of these.” This made me think of Jesus… Song of Solomon 2:1 ” I am the rose of Sharon, and the lily of the valleys.” The last part of Matt. makes me think of how nothing compares to the glory of the Lord. I started a cell phone cover from the same pattern as the purse. I will post a pic when I’m done. 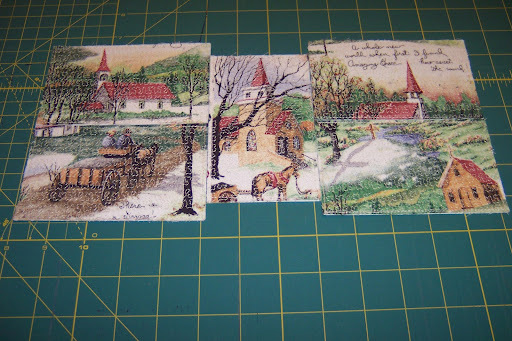 Here are a few “thank you” cards I created using the quilting feature on my BabyLock. In the center picture it gives it a look of snow. The fabric was from about five years ago. The artist is D. Morgan . Unfortunately I can not find this fabric anywhere. I tried ebay as well.